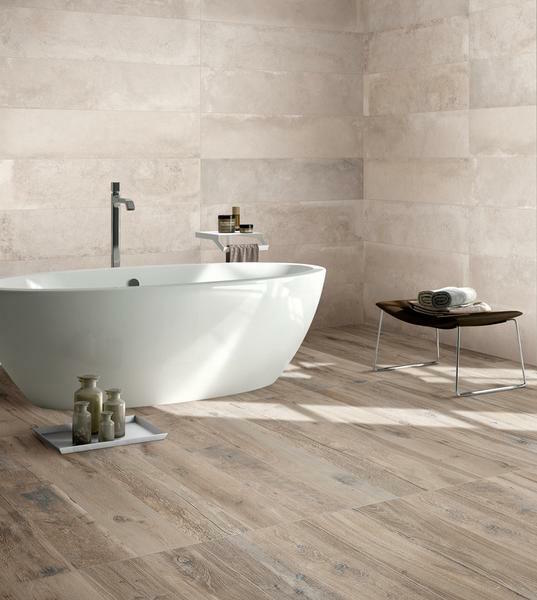 New from Emser Tile is the new Legacy™ series, designed to emulate a rustic wood aesthetic with true surface texture and high resolution graphics. The collection provides the reliability and durability of glazed porcelain tile with the sought-after look of rustic wood. The collection’s 8” x 47” plank format and three-dimensional texture mirror that of contemporary hardwood panels. Suitable for interior and exterior environments, Legacy has the versatility to cover surfaces from outdoor pools to kitchen backsplashes to commercial flooring. The innovative collection is offered in five rich wood colors. Install Legacy in Sand or Gray in an all-white kitchen or master bath to provide contrast while maintaining a neutral aesthetic, or incorporate a more traditional feel with Brown.